Just about everything associated with the 2017 Volkswagen Touareg could be easily at home on a traditional luxury crossover SUV. The upholstery is as excellent as anything found on luxury vehicles. Handling the 2017 Touareg is easy and precise; and the 2017 Touareg offers near class-leading towing capacity. In short, there are very few other crossover SUVs at this level of the segment which can offer what the Touareg offers. For the new model year, a few changes have been made to offer new features on different trim grades. The automaker has chosen to do away with the Lux trim in name only. Buyers will now be offered the Wolfsburg Edition. Like its previous label, the new Touareg Wolfsburg Edition features a panoramic sunroof, ventilated front seats, driver memory functions and a folding rear seat. Even buyers looking at the entry-level Sport trim are getting something very special. The previously optional Technology Package is now standard equipment featuring a rear view camera, front/rear parking sensors, forward collision warning and keyless ignition. An eight-speaker audio system is available. There is only one powertrain setup for the 2017 Volkswagen Touareg, a 3.6-liter, V-6 engine making 280 horsepower and 265 pound-feet of torque. An eight-speed transmission sends power to all four wheels via the crossover SUV’s all-wheel drive system. Fuel economy scores for the 2017 Touareg are about average for this class of the automotive community. Owners can expect to see fuel scores of 17 miles per gallon in the city and 23 miles per gallon on the highway. 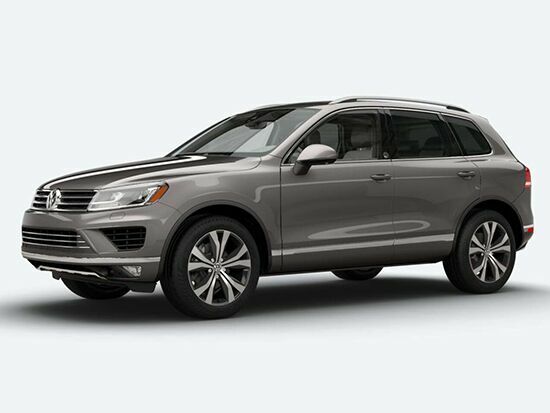 In addition to a powerful engine, the very shape of the 2017 Volkswagen Touareg makes it well-suited to cargo hauling. With the second row of seats deployed for passengers, there is still more than 30 cubic-feet of space to use. 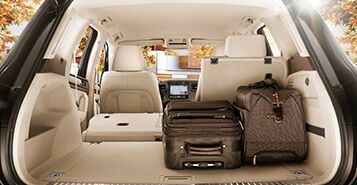 Stowing those seats away makes more than twice that amount of space available. In terms of towing, the 2017 Touareg has few real rivals. When properly equipped the VW crossover SUV will be able to pull loads weighing more than 7,700 pounds. There is no disputing the fact that the 2017 Volkswagen Touareg has one of the most enviable interiors in the entire crossover SUV class. Even its entry-level trims offer a premium V-Tex vinyl upholstery that could easily be mistaken for something more expensive. 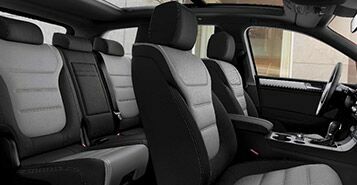 Upper trims like the new Wolfsburg Edition and Executive offer leather upholstery. 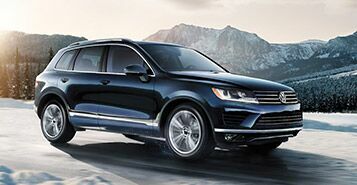 On a technology front, the 2017 VW Touareg offers outstanding features like satellite radio, smartphone integration and a proprietary digital media input. Active safety systems are also available.